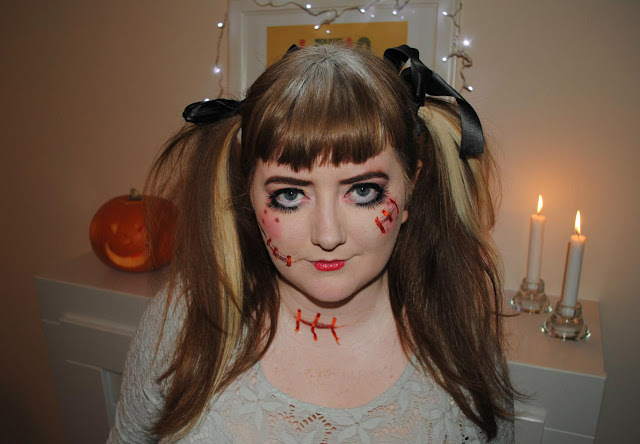 I've been writing Halloween posts every Monday for the last five (!) weeks, and it has been so much fun. 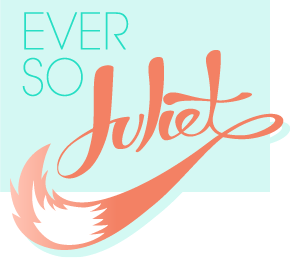 It's been great getting to play about with make up and do crafty things, so thanks for reading! Today I just wanted to share a few photos from this weekend - Craig & I held our annual Halloween party and it was so much fun! It was a little bit unorganised this year as I had a horrible cold & didn't make any plans until the very last minute, but it was still ace. I dressed up as a scary doll, which was actually a really cheap costume to put together! I wore a cream dress that I already owned, and bought black ribbon to tie around my dress & in my hair. 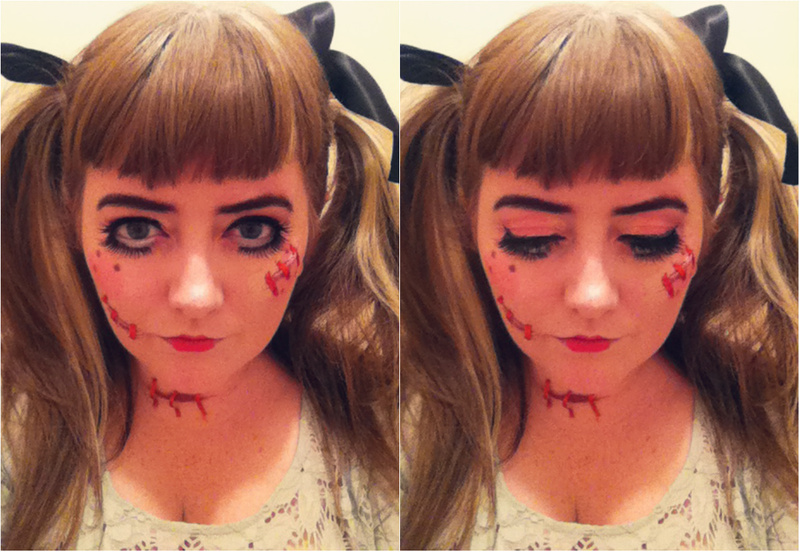 For my make up I used a white pencil to line under my eyes so they looked big and doll-like! Then I wore two pairs of false eyelashes, placing the lower set underneath my eye (which felt weird, but looked good!). I bought some fake scar putty and liquid latex from the joke shop, and created cuts on my face & throat, which I then "stitched" with thin ribbon (stuck on with liquid latex). 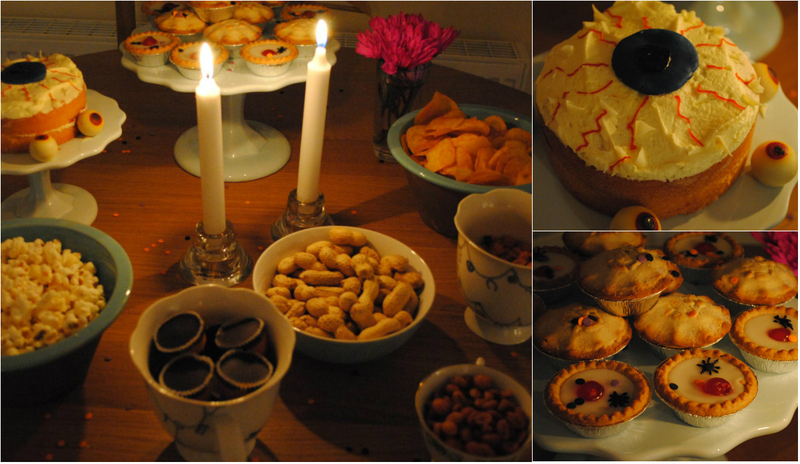 Food is one of my favourite parts of Halloween, but because I hadn't been well I didn't actually make anything. Instead I just bought cakes from the shop and customised them - the eyeball cake is a white chocolate sponge from tesco, and I piped spiders onto bakewell tarts! A few years ago we used to go a bit mental in house decoration, but this year we kept things simple (mainly because the house still feels so new and shiny, I don't want to pin anything on the walls!). 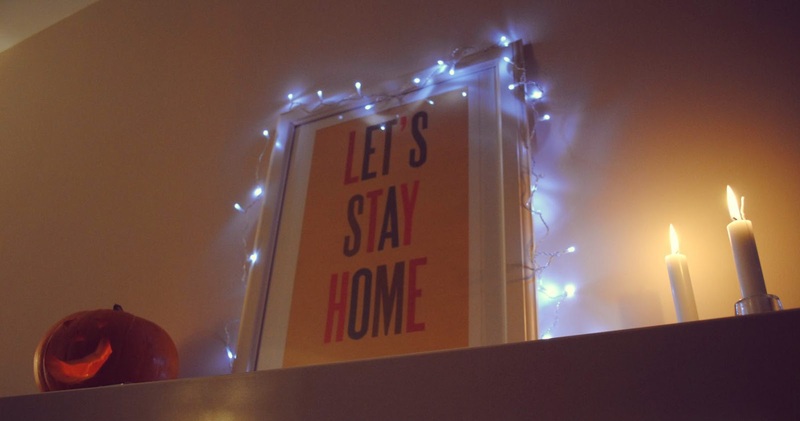 So we had loads of pumpkins around the house and put candles and fairy lights everywhere. 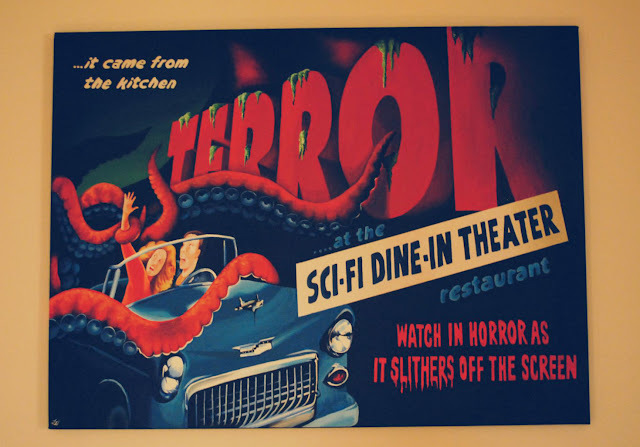 We commissioned the diner painting a few months ago for the kitchen from a roller derby pal and I love it! It's perfect for this time of year too. & my lovely pals all dressed up! 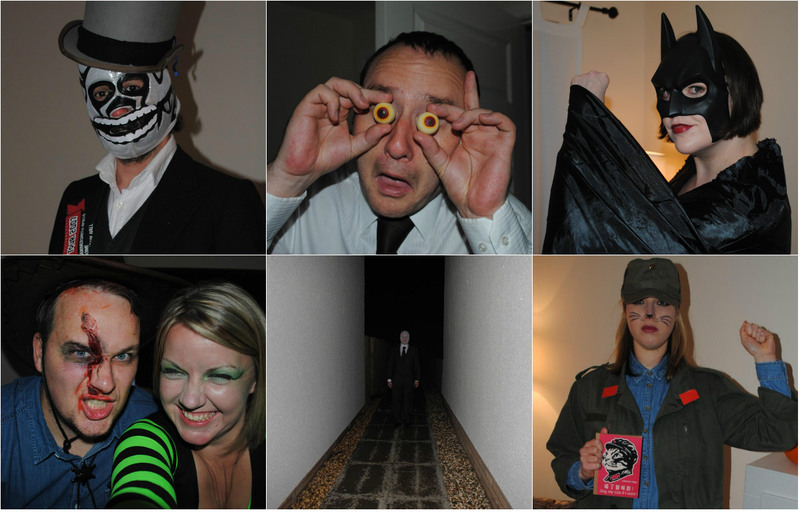 I'm still not quite sure what Murray was meant to be (bottom row, middle photo), but it was LOADS of fun. Hooray! You look great! I love the makeup! You look SOOOOOOOO rad. I love your hair in piggy tails and that makeup is awesome. Pretty sure your buddy Murray was meant to be the Slender Man! Ha ha I was just about to say that! Defo Slender Man. First idea is a scary Halloween theme. However I am planning to dress up in the similar way during next Halloween.